It is not about ownership but leadership, management and vision. My aim is to make CIL a company that produces one billion tonnes of coal by 2019, says Piyush Goyal. 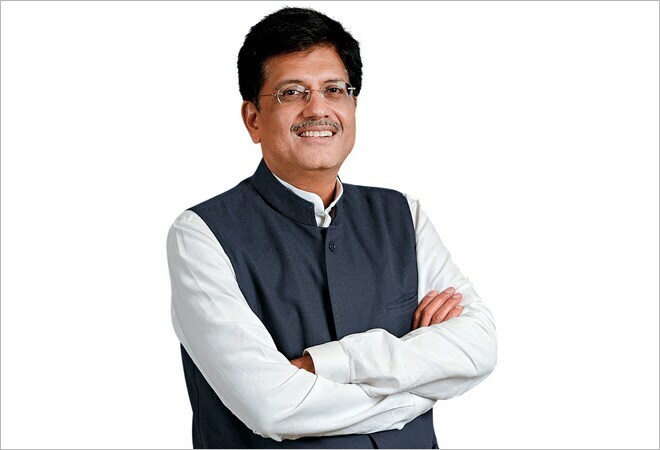 Power and Coal Minister Piyush Goyal. He admits that the present coal situation is messy but is sure that a turnaround is possible. While the sector awaits Supreme Court's final verdict on illegal coal blocks, Power and Coal Minister Piyush Goyal shares his objective with Business Today's Josey Puliyenthuruthel and Anilesh S Mahajan. Edited excerpts. Q- The coal sector, it seems, is in a mess. What's the outlook? A- The coal production in the last four years has been going up at less than 2 per cent. But after studying the sector and discussing about it with stakeholders, I am bullish. We will be able to sort out things faster than anybody has imagined. We have requested the Supreme Court to bring a finality in the judgment on captive mines. Everyone wants stability in policy and clarity in law. There were some doubts about the fate of bank loans. We have assured the court that the government will sort it out. Q- But some money has already been disbursed. A- If a court declares something illegal, it just cannot become legal because the banks have loaned some money. In the 2G case, when the court found the licences illegal, it scraped them. That was the end of the story. Q- What will happen to those mines? A- We have submitted a status report on the 40 coal-producing mines and six that are yet to be mined. The work has stopped for want of clarity from the apex court. The government has not proposed any course of action to the court but have sought finality to the issue. We know that money has been disbursed and many end-use plants have come up. If the court scraps the licences, Coal India Limited (CIL) can step in as custodians. Nobody will lose job and production will not stop. The silver lining is that six mines are ready for production and there are 13 of them that can be mined in six to eight months. Q- Will that also come under the custodian? A- I actually don't know until the final judgment comes. In these 13 mines, there are some evacuation challenges. There are other 20 odd mines where evacuation has been completed and production can start in a year and a half or so. The country is starving for domestic coal and cannot sit on it. Resolution is in the interest of the country. I see a great future for the Indian power sector. The new method would be transparent and allocation will be through a honest process. Q- What's the time frame for the turnaround? A- It is not about how quickly I auction the mines. It is about how quickly I get coal from these mines. I have suggested my ministry to consider he Ultra Mega Power Plant model where we take all permissions and then seek bids. Among these coal blocks , some have to be disposed of quickly. My focus is on how I can get coal faster and then work backwards. Q- What's the future for commercial mining? Can big companies come in? A- We want to resolve the issue at hand first. The big companies can come today too. The doors are open. But they are willing to explore only if you give them the subsequent mining licence too. I cannot do that. I suggested to them that we are willing to pay for the exploration. Let us see what's available and then through transparent ways we can call for bids. I plan to strengthen the Central Mine Planning and Design Institute Limited. I am also looking at involving the private sector to demark the coal reserve. Q- CIL is in a bigger mess. How do you propose to address it? A- It is not about ownership but leadership, management and vision. My aim is to make CIL a company that produces one billion tonnes of coal by 2019, which means a CAGR of 18 per cent from now on. We are analysing the root cause and looking at ways to ramp up mines and open new ones. Exploration has to quadruple in the next 18 months. Last week, I spent a whole day with all the subsidiary chiefs of CIL, senior ministry officials and external resources whom we have engaged to rationalise coal linkage. Four days later I met coal and power ministry officials along with my advisory board. The first cut was submitted to me on Saturday. I made my suggestions and have given them one month to rework it. By October 31, the next cut will come. Very soon we will talk to railways to rationalise the 200-odd coal linkages. Q- Is the environment ministry a roadblock? A- Not much. The environment ministry is giving excellent support to me. Two days after our government took charge, a few policy issues were flagged of to me. I called up the minister, fixed the meeting next day, and resolved 85 per cent of the issues there. A timeline was fixed to resolve the rest. Q- Is he able to resolve the puzzle of inviolate mines? A- A detailed study is done and soon he will come up with results. Q- How many mines do you think can come under this? A- Not much. It is much less that what was done by earlier regime.